Being an innovation on the commercial airline business the air taxi industry is quit new to a lot of passengers or users. Air taxi passengers commence to understand the flexibility and time savings an air taxi can offer due to the fact they decide on their own departure time, origin and destinations of the air taxi. Air taxi’s service their customers with reliable flights and take into account different operational aspects and limitations. In order to better understand the air taxi industry we have set-up a glossary depicting the “ABC of the air taxi industry”. Airport slot: An airport slot is a timeslot to land or take-off an air taxi aircraft at an airport. It is requested by the air taxi company from the country’s slot coordinator. Airport slots are set-up to share the airport’s traffic burden over time. Congested airports or busy airports are mostly slot constrained. It is therefore of importance to request a time slot well in time before departure assuring that a requested take-off or landing time by the customer can be provided. Air taxi: An air taxi is the low cost private aircraft alternative. Air taxi’s mostly fly with affordable single engine aircraft up to three seats. It fulfils a niche between last minute economy priced seats with commercial airlines and private jets. The airtaxi drives to deliver the same time efficiency as a business jet but for an affordable price. As a customer you can decide on the departure time, the origin and destination. Avgas: short for Aviation gas (100 LL). Avgas is the kind of fuel which most of the air taxi operators are using to power their aircraft. Not all airports provide Avgas fuel. Big airport hubs or military airfields provide alternative fuels for respectively commercial airlines and military aircraft. Avionics: Avionics are the electronic systems used on an aircraft. Avionic systems include communications and navigation equipment including display’s and management systems. Block time: Block time is the total time an aircraft is operating, measured from when the airtaxi is moving on its own power until the aircraft comes to a full stop. The block time includes the aircraft taxi and flight time. The taxi time is the time required to drive the aircraft from its parking position to the runway or the other way around. CAA: The Civil Aviation Authority or CAA is the statutory corporation per country which oversees and regulates all aspects of civil aviation in that particular country. CPL: A CPL is a commercial pilot license, this is a qualification that permits the holder to act and be paid as an aircraft pilot. Crew rest times: Crew rest times are the legal duty times that air taxi crew needs to follow in order to conduct a safe flight. When captains are flying multiple flight hours or conducting multiple flights in a row, they become fatigued. By law pilots are required to take a minimum rest after a certain amount of flight hours or cycles within one day. The crew rest times greatly limit the total amount of duty hours one captain can conduct within one day. De-Icing: When winter strikes and humidity is high, ice can accumulate on the aircraft wings. The ice accumulation will deteriorate the take off performance of an any air taxi aircraft. 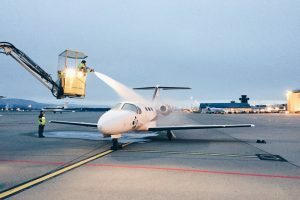 Therefore when the captain is noticing ice accumulation on the wings air taxi operators will perform de-icing procedures before take-off, making sure there is no ice covering the wings at take-off. EASA: The European Aviation Safety Agency (EASA) is an agency of the European Union with the responsibility for civil aviation safety. It carries out the certification, regulation and standardisation, and also performs investigation and monitoring of airline operations. It collects and analyses safety data, drafts and advises on air traffic safety legislation. Empty leg: also called repositioning flight. 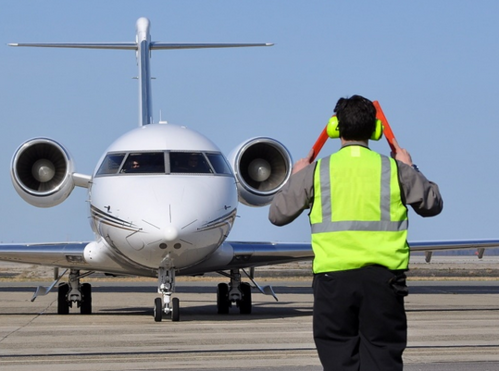 When a customer requires a flight from an airport where no aircraft is based, the aircraft will be repositioned from its base to the customers origin. On this repositioning flight there will be no passengers on board, therefore these flights are also called empty legs. Empty legs can be sold for cheap prices to other passengers. Passengers on empty legs have to understand that they will most probably not receive a return flight and that they will not be able to change the departure times of the flights. Flight time: The flight time is the time measured from take-off until landing of the aircraft. Fractional ownership program (FOP): Is a business model used by air taxi providers. Within this model customers become partly owner of one of the aircraft in the fleet of the air taxi operator. This model allows for more flexible operational regulations. GAR: Operators of aircraft making journeys to or from the United Kindgdom (UK) are required to report their expected journey to the authorities. The General Aviation Report (GAR) is used by the UK Border Force and the UK Police to facilitate the smooth passage of legitimate persons and goods across the border and prevent crime and terrorism. GAT: Short for “General Aviation Terminal”. The GAT is the alternative airport terminal from which air taxi’s and private jets depart. The terminal is characterized to be small and it has no perks available. In the GAT, or sometimes called the “business terminal”, passengers enjoy the luxury of departing without queuing for check-in or security unlike a traditional commercial airline terminals. 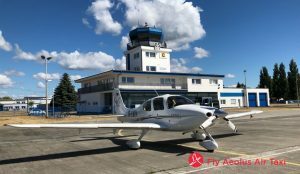 GENDEC: Pilots on a non-scheduled or private international flights are required to submit and/or bring along a General Declaration (GENDEC) form. The GENDEC form needs to include specific information on all crew members and passengers including their passport number, nationality and the date and place of birth. Handling: Handling companies provide services on the interface between the aircraft and the terminal. They make sure that passengers and luggage are crossing the airfield to the terminal in a safe way. Bigger commercial airline airports and some smaller ones do require aircraft to be handled obligatory. IFR: IFR is short for “Instrumental Flight Regulations”. The IFR aviation regulations state how an aircraft needs to be operated in marginal meteorological conditions, like low visibility weather. Some airports have landing instruments available serving aircraft to land under IFR and low visibility making operations more flexible. The limitations to land in bad visibility at airports without landing instruments (“Visual Flight Regulations”) are much higher in comparison with IFR landings. Private jet: As the name implies a private jet is an aircraft privately available to a customer. It is powered by a jet engine. Operating a private jet allows customers to choose their departure time, origin and destination. Private jets have extra luxury perks like catering, leather seats and in-flight entertainment which air taxis do not necessarily have. VFR: VFR is short for “Visual Flight Regulations”, the acronym refers to regulations which air taxi need to follow when they operate the aircraft visually or in good visibility and meteorological conditions. 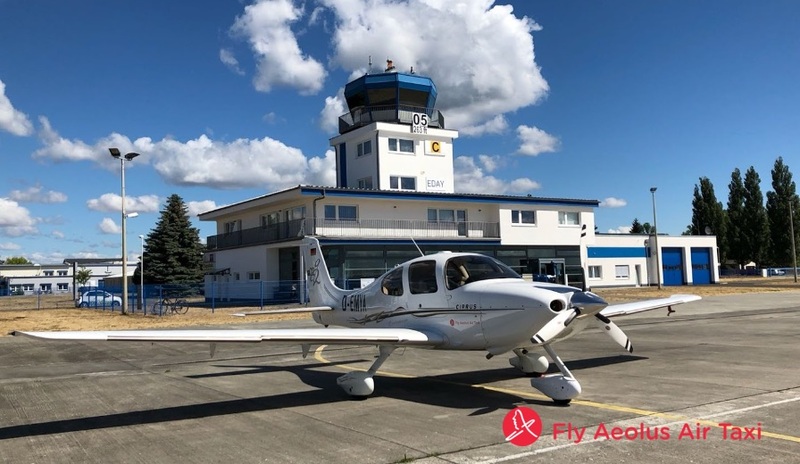 Most small airfields can only be operated using VFR regulations therefore highly limiting the aircraft take-off and landing operations in bad weather. Weight and Balance: Before each flight the air taxi captain will make a “weight and balance” analysis. This analysis allows the captain to review whether the aircraft is not over weighted. Next to the aircraft itself the total weight includes fuel, passengers and their luggage and any other cargo on board. The maximum allowable aircraft weight for landing and take-off might limit operations from specific airfields with shorter runways or even shorten the aircraft endurance for specific total aircraft weights. This glossary gives a glimpse of the dynamic and multi stakeholder air taxi business. Do not hesitate to contact us at info@flyaeolus.com if you have other questions or if you feel that specific words or acronyms are missing.